Recovering from his injuries, he has no memory of the collision. Was he responsible for the death of a child? Who was his female passenger? Facing charges of causing death by dangerous driving, the professional and personal life he once knew now lies in tatters. Depressed and taking refuge in alcohol, Anderson refuses, in the face of so many unanswered questions, to accept his guilt. He becomes convinced that the gangster he was prosecuting at the time of the crash is in some way involved. The mystery deepens as his search for the truth draws him into Manchester’s sordid criminal underworld. Shunned by his former colleagues, Anderson finds help from an unlikely source, enabling him to confront his prejudices and re-evaluate his past life. He embarks on a journey of self-discovery and, ultimately, the path for his own redemption. Anderson knows that defeat means deliverance to a prison full of violent criminals he has prosecuted over the years. He now has to find the strength to fight the most important trial of his life. From the synopsis I was already intrigued to read this book and I’m glad I did. It turned out to be a book I was unable to put down. From here we see his life fall apart, friendships broken, family bonds tested and within the space of a few chapters John’s life is gone from high flying barrister to a nobody facing prison time. I really can’t give too much away as it would spoil the plot but Olly has created a wonderful tale here and has used his life experiences to give this book lot of detail which adds to the authenticity of the story. It felt real. I felt worried myself what would happen to John and how I would have felt in the same situation where you just can’t control the direction your life takes. The storyline played out perfectly for me and kept me guessing as to what would happen next and I was hooked right until the end. This is definitely a book I’d recommend! And I’m glad to hear Olly is working on his next book Cutthroat Defence as we speak. 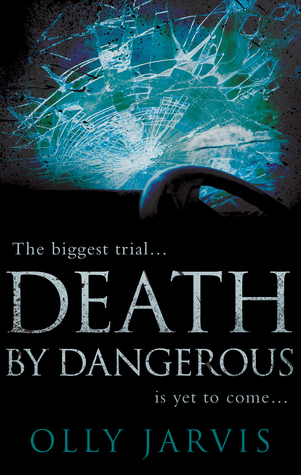 This entry was posted in Book Reviews, Mystery, Thriller and tagged Authors, Book club, Book Lovers, Book Reviews, BookBlog, Books, Death By Dangerous, Mystery, Olly Jarvis, Thriller on August 27, 2015 by Bairdy1985. So this book follows the main character of Penny who after the demise of her previous marriage has found love again. The man she has falling for is Robert, who already has children of his own including a step daughter who Robert doesn’t have contact with. Penny offers to track down this step daughter in the hope she can convince her to reconcile with Robert. As you can guess there is more to this situation than Penny is aware of and an interesting tale unfolds. Telling you anything would take away the enjoyment of reading the book but in my opinion the story flows well and you are constantly left wondering what is going on and why the step daughter doesn’t want to see Robert or his family again…who doesn’t like a bit of suspense! I really enjoyed the book and the ending didn’t disappoint for me. This is the second book I’ve read of Diana’s and it’s of the same quality and a very engaging read. To explain this is must point out Penny is by far the most annoying character I’ve ever read about. She makes you want to scream… but as you near the end of the book you start to see why. She really does have her heart in the right place but she’s blinded to the truth which I guess we all are when we fall in love. This really was a good book to read, my 4 star rating is simply because at times Penny was too annoying verging on stalker and I felt at this point the step daughter would have called the police rather than had a conversation with the woman.. or maybe had a bit of a cat fight. If you like a bit of mystery or suspense I think you’ll enjoy this book. 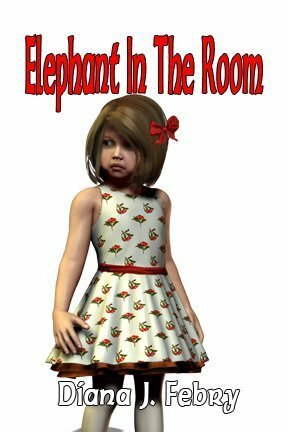 This entry was posted in Book Reviews, Mystery and tagged Authors, Book club, Book Lovers, Book Reviews, BookBlog, Books, Diana J. Febry, Ebooks, Elephant in the Room, Mystery on August 17, 2015 by Bairdy1985. DCI Peter Hatherall is called in to investigate a shooting on the Earl of Ditchburn’s country estate. The Earl’s activities have angered animal rights and environmental groups but subsequent deaths suggest Elmsgrove Racehorse Yard is the target. 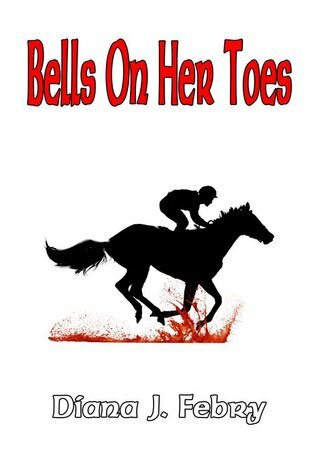 There is more at stake than a horse race and time is running out for Hatherall to solve the case before the culprit kills again. The story starts with a body being found in a barn fire. DCI Hatherall and DI Williams are assigned the case. They have to put a lot of pieces together to solve this mystery and the pressure is amplified when another body turns up. The characters, the plot and the setting come together to make a very good rural detective mystery and the development of the characters was plentiful but also subtle. When I finished the book I couldn’t help feel that the author must have spent quite a while working on the plot in order to make the discoveries/clues/twists happen at the most appropriate time. The other thing I liked was the relationships within the book. It made the story a bit more believable for me.. I like characters and events that aren’t perfect.. life just isn’t like that. I really would love to see DCI Hatherall and DI Williams return. I can imagine this being a very good series of detective books. If I could say more about the story line without giving anything away I would but honestly I really enjoyed it. The twists near the end were prefect. Nothing felt out of place or rushed. Again I’d like to point out this is not my usual genre what so ever… I’ve definitely got the taste for mysteries now. I’m trying to think if I would change anything about this book.. and I can’t think of anything that I didn’t enjoy or that I didn’t think worked. I guess my only real comment to the author would be to please write more.. 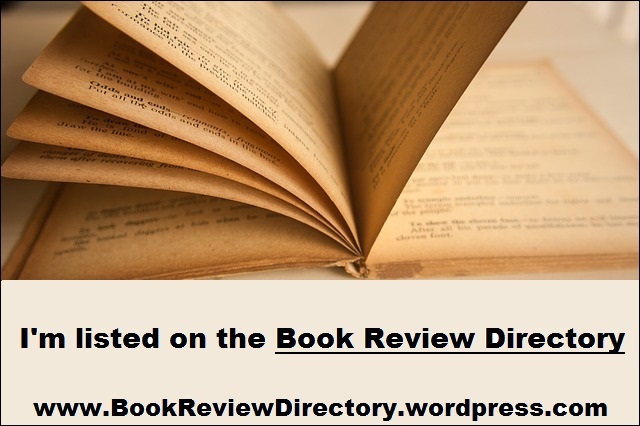 This entry was posted in Book Reviews, Mystery and tagged Authors, Bells on Her Toes, Book club, Book Lovers, Book Reviews, BookBlog, Books, Diana J. Febry, Ebooks, Kindle on June 17, 2015 by Bairdy1985. Brodie Barrett is a widowed mother of a 10 year old girl and a homicide detective for the Birmingham Police Department. Everything seems fine in her world until her ex-fiance, Keaton Maddox walks back into her life. She’s ready to start a new life with Keaton but he’s also got a pregnant girlfriend working at his restaurant. Things at work start heating up for Brodie when someone decides to send her love letters at work. 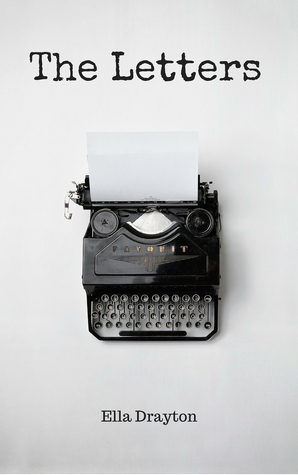 These aren’t your ordinary love letters, though! These letters leave clues for Brodie to find bodies of her admirer’s victims. Who could be sending these letters and why do they want Brodie to find the bodies? Full disclosure I received a copy of this book in exchange for an honest review. Ok so this book is the first book from author Ella Drayton about a detective called Brodie. Bodies soon turn up and killer wants her to find them.. the book is all about her trying to figure out who the killer is whilst also trying to sort out her personal life. The synopsis grabbed me straight away, the idea the killer was linked to her somehow intrigued me. I enjoyed the story line, the book was written well and very easy to read. The mix of private life and work life seemed to work well for the story. There was strong development of the character Brodie. Since the murders are linked to her it gave Ella a great opportunity to give you more information on her and the relationships she has with other people in the book. These relationships and the information you gain made me certain who the killer was but Ella keeps the motive/background unknown until late in the book to keep you interested..
It’s very hard to pick faults with this book, if i’m honest i guess i just didn’t really like Brodie. I would have liked to see more bodies turn up, maybe a few more twists to throw you off the killers trail and to see the struggle Brodie would have gone through, accusing those close to her, doubting everyone. In conclusion I enjoyed reading the book, it has a lot going for it and would definitely be interested in seeing what Ella comes up with next. This entry was posted in Book Reviews, Mystery and tagged Book club, Book Lovers, Book Reviews, Books, Ebooks, Ella Drayton, Kindle, Mystery, The Letters on January 27, 2015 by Bairdy1985. After being Injured during his last case. Tony Gavel decides to head up to his hunting cabin in Red Valley Falls to recuperate. While there, Tony learns that a serial killer escaped transfer to a Federal Penitentiary and has killed a few people in the surrounding woods around town. When Sheriff Myers, one of Tony’s good friends, winds up murdered Tony takes up the manhunt to find Doogan ‘The Ear’ Ashe. Evidence suggests that his friend Sheriff Myers was not killed by Doogan but by someone trying to make it look like he did. Now it’s a race against time to find out who really killed Sheriff Myers and also to capture Doogan Ashe before he kills again. Full disclosure, I received a copy of this book from the author in exchange for an honest review. This is the second book in the Tony Gavel series. Tony is a PI, trouble seems to be attracted to him and even when he needs to be resting he gets drawn into a case. I found the story line very intriguing, the whole Doogan Ashe mystery kept me thinking and every turn of the page I was waiting for him to show his face.It’s fast paced and full of twists. By the end of the book I was sure i knew who the killer was only to find out i was wrong all along. This book is a great read, flows well and easy to follow. I would have no problem in suggesting you read this if you like a bit of a mystery and detective work. 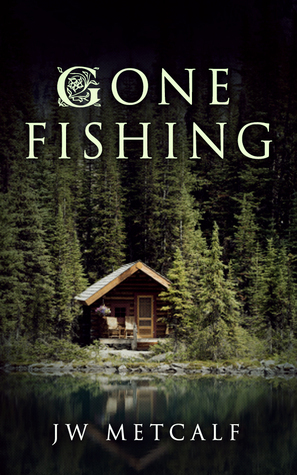 This entry was posted in Book Reviews, Mystery and tagged Book club, Book Lovers, Book Reviews, Books, Ebooks, Gone Fishing, J. W. Metcalf, Kindle, Mystery on January 13, 2015 by Bairdy1985. Jake Knight is a detective with an uneventful career. Baxter Black is a vigilante with a mission who cannot be stopped. Until Jake locks him up for life. Lillian is heartbroken when her daughter Clara is diagnosed with cancer that cannot be cured. Her only hope lies in a new wonder drug that’s being used as a treatment for cancer. But the trial was set up long ago and the drug won’t be released for another two years; too late to save Clara’s life. Grace, Lillian’s older daughter, has access to the drug and comes up with a plan to steal some for her sister. She has no idea how far reaching the consequences will be. Jake Knight is assigned a new partner, a rookie named Dayna Colton. Dayna may be their only shot at getting inside Baxter’s head to stop a new killing spree that must be connected. But is everything really as it seems? I had read Gino’s previous novel so i was looking forward to his next piece of work even though they are on different subjects. This entry was posted in Book Reviews, Mystery, Thriller and tagged Book club, Book Lovers, Book Reviews, Books, Driven to Kill, Ebooks, Eugenio Salvato, Kindle, Mystery, Thriller on January 10, 2015 by Bairdy1985.